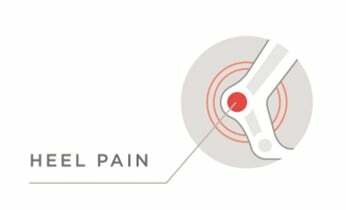 What does your heel pain mean? Heel pain is often a symptom caused by one of two conditions: plantar fasciitis or Achilles tendonitis. Most commonly, heel pain experienced at the bottom of the heel is caused by plantar fasciitis. Heel pain may become so severe for some that just putting weight on their feet first thing in the morning is excruciating. Walking or running may feel completely out of the question. If your foot pronates too much, the ankle rolls too far downward and inward with each step. This can cause the arch to collapse and muscles and supporting structures to overstretch and lengthen. The ligaments running from the heel to the toes become strained, often leading to inflammation along the bottom of the foot. This inflammation and heel pain is known as plantar fasciitis. In response, the bone may also develop a bony growth (heel spur), right in the center of the heel. This too causes heel pain and can prevent an individual from walking with ease. Injury, disease and excess weight are among the possible culprits, but it’s probable that your heel pain has developed from poor biomechanics. You're not alone, however. A majority of the American population experiences misalignment due to over-pronation. Over-pronation can become even more excessive when you wear unsupportive shoes and walk on hard, unnatural surfaces. Our biomechanical footbed supports you from the ground up. at home or without surgery. Make sure the calf muscles are stretched daily to relieve strain on the plantar fascia. A popular method for relieving heel pain is icing the area under foot. You can roll your foot over a frozen water bottle or apply a cold pack to the bottom of your heel. If you choose a cold pack or ice pack, be sure to put a towel between the pack and your heel to protect the skin from burning. Switch up your fitness routine to include swimming, riding a bicycle or even specially targeted yoga and pilates. Stay off your feet if you are not wearing supportive footwear. Anti-inflammatory drugs (NSAIDs) may be taken to reduce pain and inflammation. For more serious cases of heel pain, your podiatrist may recommend physical therapy, injection therapy, night splints and orthotic devices. In the most extreme cases, surgery may be an option. By wearing orthotic shoe inserts or supportive shoes, you can align your feet and reduce over-pronation. Extra arch support and realignment of the lower leg to its natural angle reduces the pulling and strain on the plantar fascia. This can take away a common cause of heel pain and reduce the aggravation of heel spurs. 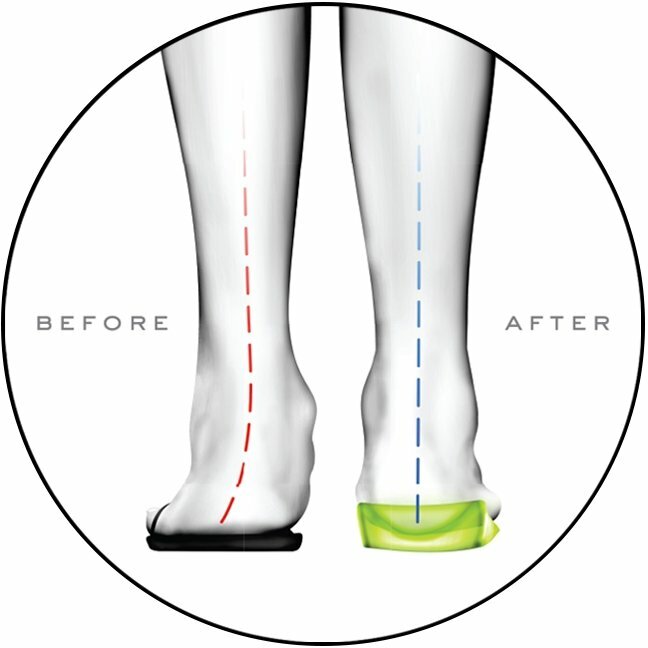 Vionic technology is shown to help reduce over-pronation and associated conditions due to misalignment. 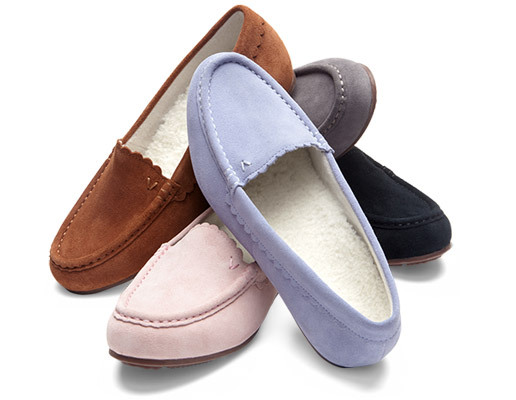 You can enjoy instant relief through this breakthrough technology built into a selection of stylish casual and dress shoes, walking-specific shoes and sandals, supportive slippers and more. 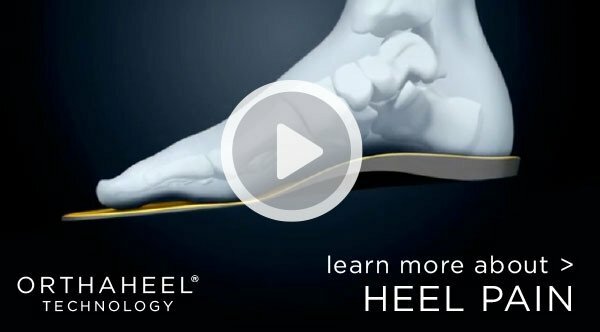 *Based on a peer-reviewed clinical study partially funded by Vionic on people experiencing moderate, non-traumatic heel pain.